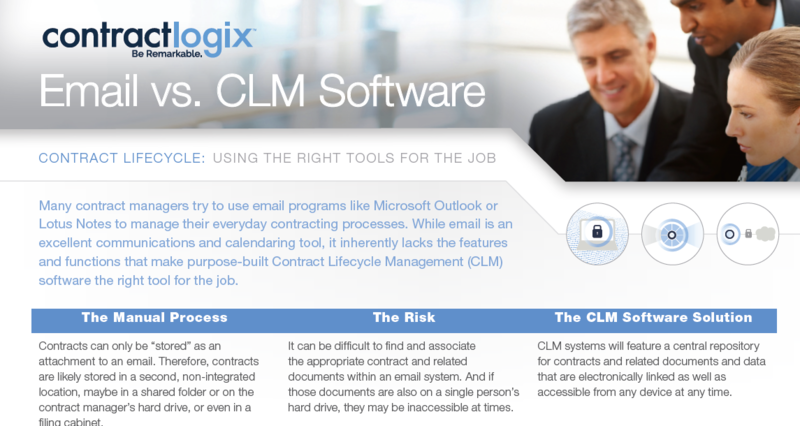 Using the Right Tools for the Job: Email vs. CLM Software. Many contract managers try to use email programs like Microsoft Outlook to manage their everyday contracting processes. While email is an excellent communication and calendaring tool, it inherently lacks the features and functions that make contract lifecycle management software a better tool for the job.